Offering Personal Training in Broomfield CO and the local areas. 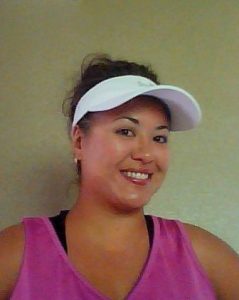 Hi I am Tonya a Personal Trainer in Broomfield, CO and the local areas. As a fitness enthusiast, I have found exercise and being active has always helped me stay focused and stay positive. When I worked in hi-tech, I was living the exact opposite lifestyle I am today. I was bogged down by too much travel, not enough sleep, and a high stress job. My life was running me in to the ground and my body suffered for it. I made the decision to follow my passion back in to fitness and help other corporate types, stay-at-home moms (CEO of the household), and family members who support them. I find that my experience in both corporate business and life experience has proven to keep me in tune with the needs of my clients. I have had the pleasure of helping clients who have made a conscious decision to follow a healthy lifestyle. Making change is difficult; but change is good! My goal is to help you create a plan to reach your goal and provide you the tools to make it happen. Whether you want to lift, dance, row, bungee or TABATA your way to a healthier you – we can do this together! Let’s get moving! Bachelor’s degree in Sociology from California State University, Chico.